This is a curved rectangular Hamm’s Beer on Tap porcelain sign. This particular Hamm’s Beer sign is very colorful. 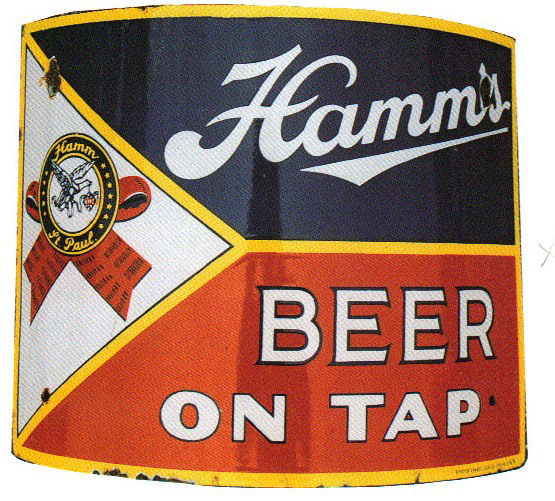 It reads, “Hamm’s Beer On Tap” and features a Hamm seal on the left side of the sign.